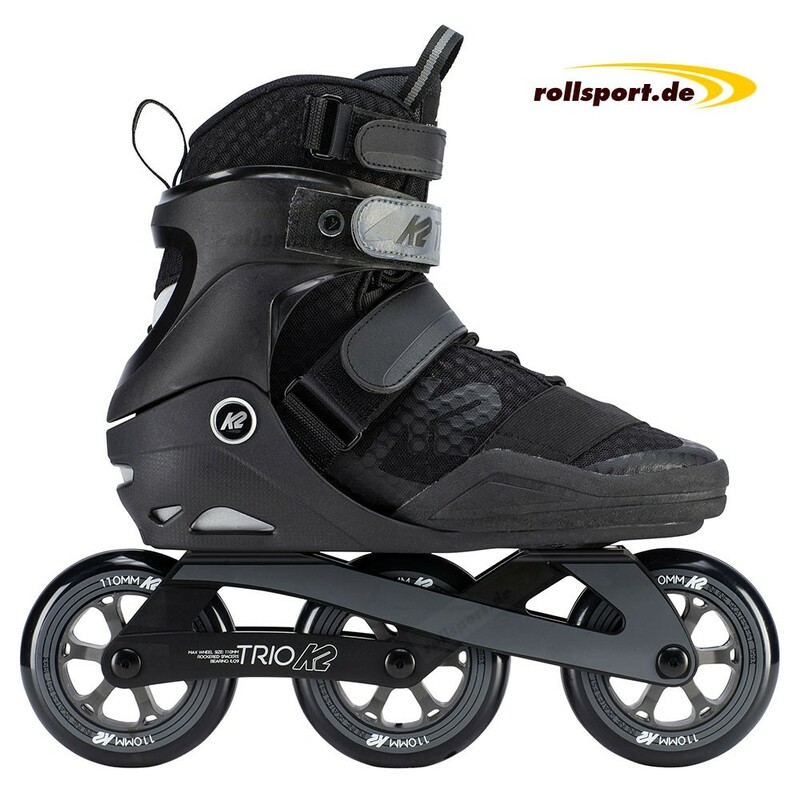 K2 Trio 110 black - the new 110mm Triskate or 3-wheeler from K2 is the K2 Trio 110 Skate with 110mm wheels. 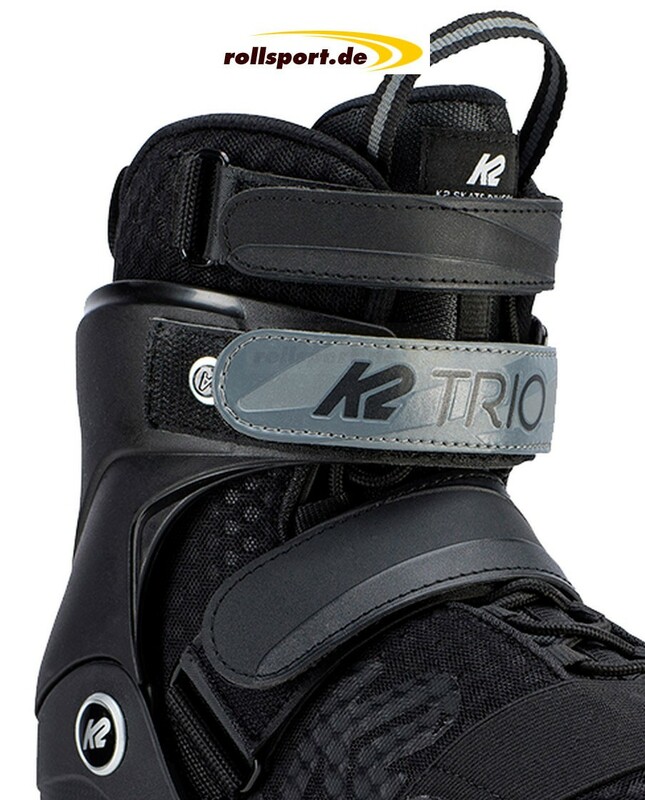 With 3x 110mm wheels the K2 Trio 110 Skate is a real novelty in the K2 range. 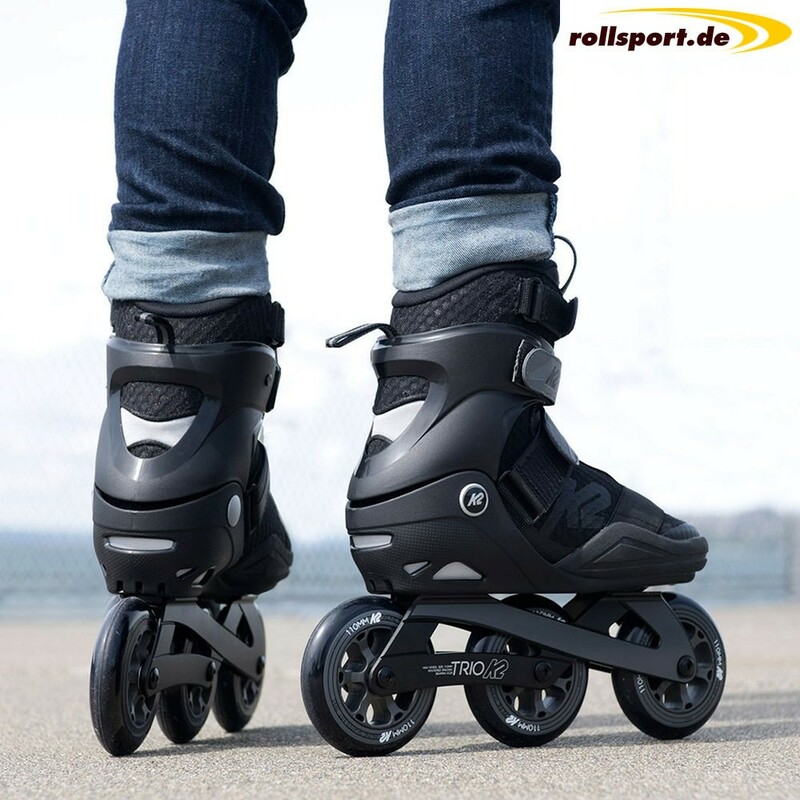 It is the next of the row of 3-wheeler or Triskate models, like Mod 125 and the Mod 110 Skate. Perfect for ambitious fitness skaters. The use and combination of several lacing systems gives a firm hold and thus a good fit. 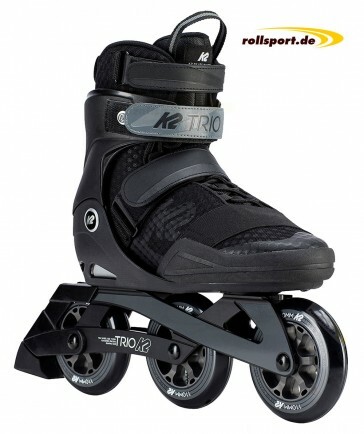 Does the Trio 110 have a braking system? Yes, the Trio 110 has a brake system mounted on the skate.